Sydney lawyer and international affairs analyst David Singer shines a spotlight on an important aspect of the moral bankruptcy of the bloated tyrannous juggernaut that is the European Union. Brexit proponent Nigel Farage has been branded a liar by the European Parliament (EUP) – but PLO Chairman Mahmoud Abbas can lie compulsively without the slightest EUP remonstration or rebuke. “The biggest problem you’ve got and the main reason the UK voted the way it did is because you have by stealth and deception, and without telling the truth to the rest of the peoples of Europe, you have imposed upon them a political union. When the people in 2005 in the Netherlands and France voted against that political union and rejected the constitution you simply ignored them and brought the Lisbon treaty in through the back door. 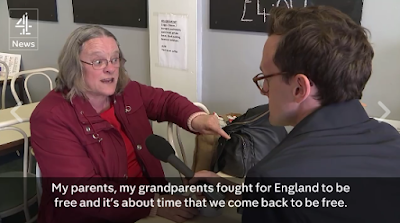 “Mr Farage – I would say one thing to you. The fact that you’re claiming that no one has done a decent job in their life – you can’t really say that”. * Gazan and West Bank Arabs having been denied the right to vote since 2006 or to choose a President to replace Abbas whose term of office had expired in 2010. * Life imprisonment being imposed for selling land to Jews. Acclaim – not derision or condemnation – was the disgraceful EUP response to these and further outrageous lies. 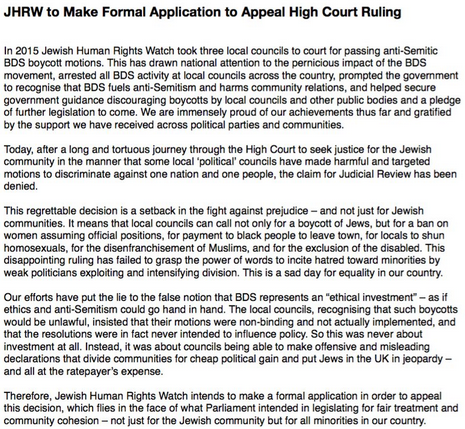 Founded in Britain at the end of 2014, Jewish Human Rights Watch JHRW) first came to public attention when, as I mentioned at the time, it mounted a demonstration outside the anti-Israel NGO War on Want. 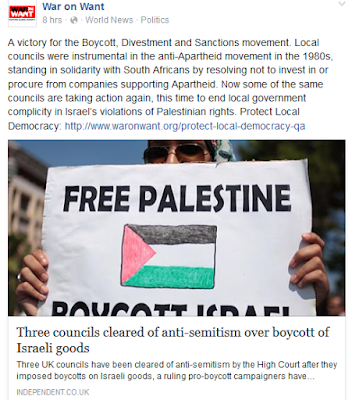 More recently, they sponsored a full-page ad in The Guardian in response to one advocating an academic boycott of Israel. .Yesterday, 28 June, Lord Justice Simon, ruled at the High Court in London that however, said that the councils had nothing unlawful. (If so-minded, you can read the entire ruling, in all its legalese, here). Not a squeak, it seems, from Gwynned Council's leader yet. Like the arrogant political elites of both left and right, the BBC is obviously aghast at the Peasants' Revolt that has delivered responsibility for Britain's destiny back into British hands. 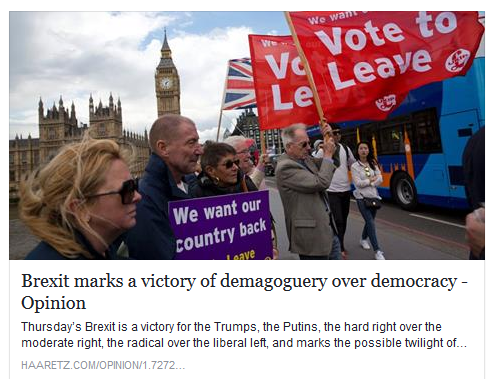 Inter alia, it's running with the canard that Brexit-supporting oldies have betrayed the youngsters' future, as seen,for instance, in this entirely biased piece of nonsense that presents that premise as a given. "Is there any country in the world – apart from Britain – where the British Broadcasting Corporation would greet the return of parliamentary democracy with terror and dismay?" 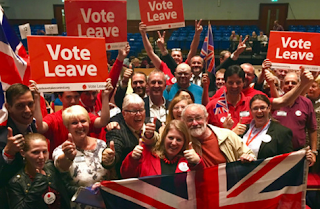 In London, predictably, assorted ratbags, tarring Brexiteers with the "racist" brush, show their contempt for the will of the people. When General de Gaulle vetoed Britain's application to join the Common Market (European Economic Community or EEC) in January 1963, it was much to the chagrin of future prime minister Edward Heath, who as Lord Privy Seal was conducting negotiations on behalf of the Macmillan government,and who eventually saw his vision of Britain in Europe eventuate. When, in 1975, the British voted to join the EEC they did so because it was sold to them by the Heath government as the economic component of NATO, and in those Cold War days it seemed to many, in effect, "better Brussels than Moscow". Little did the public realise that what the duplicitous Heath had in mind was a federated Europe, a great political juggernaut of unaccountable faceless bureaucrats ushered in by the 1991 Maastricht Treaty. 'Europe has become a major trading region for Israel. However with the chaos caused by a weak Euro, severe economic recessions in many member countries, rampant unemployment especially amongst the young generation and a general malaise as evidenced in France, it is time to turn our trading efforts eastward. This is exactly what Israel has been doing in recent times. Not only is it unwise to put all our trading eggs in one basket, diversification also reduces the probability of boycotts and economic blackmail. 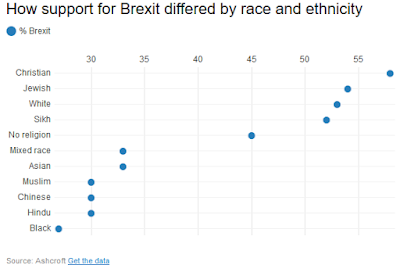 The idea that submerging national feelings of patriotism to some sort of universal attachment to European togetherness has manifestly failed. Today we are facing a virulent resurgence of age-old prejudices against Jews as well as other minorities, with political parties dedicated to ominous echoes from the recent past poised to take power in several countries. A union of countries in the future with an agenda hostile to Jews and prepared to ban Brit Mila (circumcision) and Shechita and Kosher food is far more dangerous than individual countries trying to go it alone. 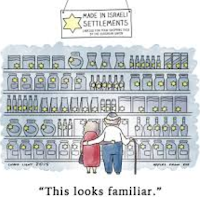 The EU as it has evolved today believes that it has a divine mission to meddle endlessly in our affairs, assert its non-existent right to impose solutions on Israel which will in effect lead to our demise and to punish us with boycotts and labeling if we do not meekly acquiesce. 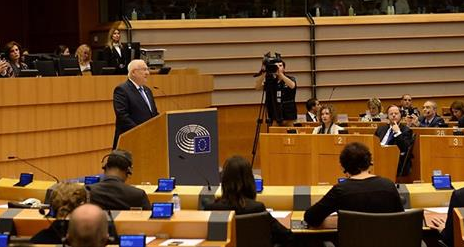 In addition and far more galling the EU provides millions of Euros to the kleptomaniac Palestinian Arab Authority which only this week announced via its Prime Minister that stipends to terrorists who have murdered Israelis and their families will be increased. For good measure he described these terrorists as heroes. Has the EU cut off funding in the face of this? Of course they have not. In the last few days the EU announced that it was prepared to offer an “unprecedented” package in order to induce a “peace” deal. In other words if bribery can achieve some sort of mythical peace at our expense then no doubt we should grab it. The very notion that more Euros thrown down a black Palestinian-Arab hole can purchase genuine peace while the root problem is hate, delegitimisation and a refusal to accept a legal Jewish presence in the region is totally ignored, merely demonstrates yet again the irrelevance of a union united (except for a few notable exceptions) by only one thing – an unhealthy obsession with the Jewish State and a continuing refusal to recognise the evil intents of those inciting and carrying out terror against Jews. David Cameron in an appeal to the British Jewish Community this week asserted that only by the UK remaining in the EU can it thwart unbalanced policies against Israel. This is of course arrant nonsense. The current funding of NGO’s which work against Israel continues unabated by UK membership. The continual attempts led by France to force a suicide pact on Israel remain unimpeded by any British membership of the EU. How would that change in the future if “remain” wins? The free flow across vanished borders of those dedicated to perpetrating terror has already doomed the EU and sealed its long-term fate. That is something British Jews should have thought about when they cast their votes. That and the looming demographic realities should cast serious doubts as to the long-term viability of a union drowning in social unrest, economic stagnation and rising Judeopobia. * The Palestinian leadership was divided in at least two. * In order to achieve a stable and viable agreement, a reasonable regional and economic infrastructure was required whereas the reality was a chaos-stricken Middle East in which uncertainty is the only certainty. 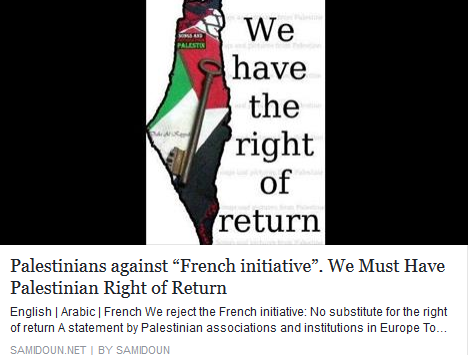 Rivlin criticised the French Initiative to kickstart the negotiations stalled for the last two years as the chronicle of a predictable failure, which would only push the two peoples deeper into despair. “First, harnessing the moderate powers in the region. The cooperation with Jordan and Egypt is a supreme common interest of Israel and the international community as well, in the aim of preventing military bolstering from beyond our borders, and in order to eradicate extremism and preserve the stability of the region…. Second, developing Palestinian economy and infrastructures for quality of life. One cannot speak about a future agreement when people live with a basic existential feeling of having no future, no opportunities, no hope, and no horizon. With the backdrop of economic difficulties in Judea and Samaria, and the situation in Gaza, a broad economic course of action is called for…. Third, investing in joint ventures aimed at creating joint interests…. * Free elections are denied to their Arab constituencies by Hamas and the PLO. * Both the PLO and Hamas maintain the destruction of the Jewish State of Israel as their primary goal. The Arab residents of Judea, Samaria and Gaza have been denied any vote since their decision to elect Hamas in 2006 was rejected by the PLO – leading to bitter internecine power struggles that still remain unresolved today. Certainly if elections were held whilst Hamas and the PLO retained political strangleholds over their respective electorally-starved populations – they might out of genuine fear for their personal safety well opt to continue swallowing the same unpleasant medicine – leaving the peace process in the negotiating void that exists to-day. Rivlin’s call to harness the moderate powers in the region sends the European Union a message that facilitating direct negotiations between Jordan, Israel and Egypt on the future of Judea, Samaria and Gaza could be meaningful negotiations – not negotiations for negotiations sake – towards ending the 100 years old conflict. Hopefully the European Union takes note and uses its power, prestige and influence to make such trilateral negotiations become a reality. A Yorkshire councillor has been suspended after making a sickening comment relating to a fund opened in memory of murdered MP Jo Cox. It's true, however, that Mrs Cox's murder is being used as a tool with which leftist elements in the "Remain" camp are beating outspoken supporters of Brexit, tarring them with the brush of hate and extremism and portraying them as almost beyond the political pale. 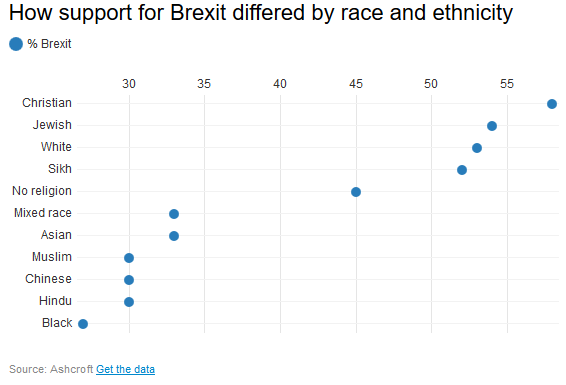 'A divided Briton [sic!] will soon vote in a referendum on the nation's European Union membership under a cloud of grief for murdered politician Jo Cox. Polls are on a knife-edge, with final campaigning underway for the vote that could see the UK leave the EU after 43 years.The deputy leader of the UK's Labour Party, Tom Watson, told Lateline the murder of his colleague and pro-EU politician Ms Cox is on everyone's minds, though he was unsure if it would affect the outcome. The atmosphere seems to be such that there is a growing cult of Mrs Cox, against which it is heresy to speak. Mrs Cox, dare it be said, was for all her evident goodness of heart no more a saint than the rest of us. A former Oxfam employee, she was an anti-Israel activist close to the PSC and other anti-Israel groups, something that even some of my Anglo-Jewish friends with a deep interest in Israel's welfare have been unaware of, since it has been all but omitted from the mainstream media, including the Jewish media. 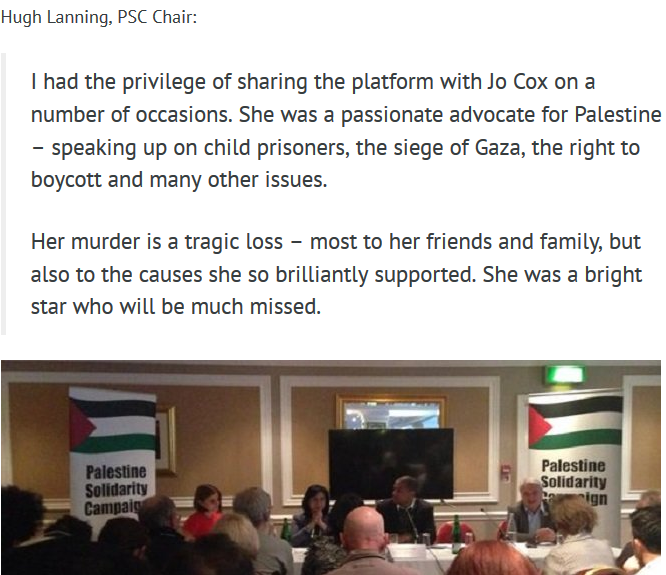 Mrs Cox's widower Brendan, who of course deserves profound sympathy in his loss, and is also becoming part of the cult, is also a leftist activist who has been involved with NGOs unfriendly to Israel. Britain's going to the polls to (hopefully) vote in favour of leaving the monstrous European Union, fount of so much mischief, but here in Australia we have our minds mainly on our forthcoming general election. Here's sitting member for Melbourne Ports Michael Danby telling The Shtick's Henry Greener why it's folly to vote for the anti-Israel "irresponsible Greens," party of Steph Hodgins-May with her "terrible insult" to a sizeable segment of the electorate, namely the local Jews, and of member for Melbourne Adam Bandt, of whom footage is shown at the end of the video addressing APAN (the Australia Palestine Advocacy Network) a few days ago. "As a refugee, I too welcome refugees. As a Jew, I am aware of the mitzvah of welcoming the stranger. As an adult with life experiences, I resent economic invaders who jump queues and try to force themselves into advanced economies where they can benefit from social services. As a prudent person, I want no part of people who come to my adopted country and demand that I and my fellow citizens submit to the standards of their religion. The same group that tells us that we must not blame them for the terror plans of a small group of them but then not only fail to condemn them themselves, but appoint extremists as religious leaders. As a father and a grandfather, I condemn parents who have failed to raise children who respond to social issues in a rational and Jewish way." So says an elderly Holocaust survivor in Sydney, in response to the demands of a group of youngsters calling themselves "Jews for Refugees" that Australia admit all of the illegal "refugees" who have tried to enter Australia by the back door and are now in detention offshore while their applications are considered. He is absolutely justified, and so, despite the leftist and holier-than-though thought police, are the like-minded people, Jews and non-Jews, who deplore the current invasion of the European Continent by young men of military age posing as "refugees". The other day, Nigel Farage, leader of the United Kingdom Independence Party (UKIP) and a staunch supporter of Brexit (Britain leaving the great bureaucratic tyranny known as the European Union) unveiled a poster in support of his stance that shows a vast crowd of young male migrants pouring into Europe. It is a genuine photograph of real migrants, not some staged event. It reflects what has been happening across Europe in the past few months. Yet it has been condemned (most recently by no less a personage than J.K. Rowling) as "racist" and resembling Nazi propaganda. I'm not a particular fan of Farage, but such accusations trivialise genuine racism and undermine democratic debate. 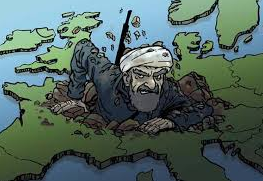 They are attempts to silence those who deplore the creeping islamisation of Europe (sobering new article by Giulio Meotti here) and what that entails for future generations (not least for women and girls). Oh, and for Jews. The estimable Douglas Murray has once again drawn attention to Europe's migration nightmare here, and how Merkel and the rest of the European "elites" have no idea how to solve this problem that is of their own making. Also from the Gatestone Institute and The Rebel, this, from Colonel Richard Kemp. 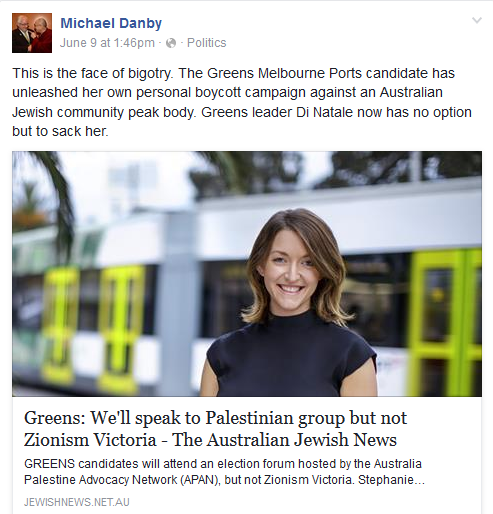 Aussie Greens' Policy Imperils Israel (video) & Greens Candidate Digs at Danby's "Duality"
In the lead-up to the imminent Australian federal election (2 July), the Australia Palestine Advocacy Network sent questionnaires to candidates soliciting their attitudes towards Israel and Palestine. Australian Greens member for Melbourne Adam Bandt (who used to be the Greens' deputy leader under former leader Senator Christine Milne, predecessor to Richard Di Natale) was among those who answered with alacrity, and with the answers APAN hoped to hear. 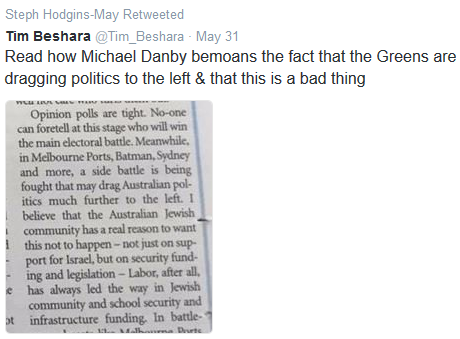 But there can have been no surprise, given Bandt's and his party's form on the subject. 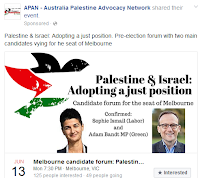 Nor can there have been surprise at the alacrity with which he agreed to take part in an APAN forum, at which Sophie Ismail, Labor candidate for Melbourne, spoke. 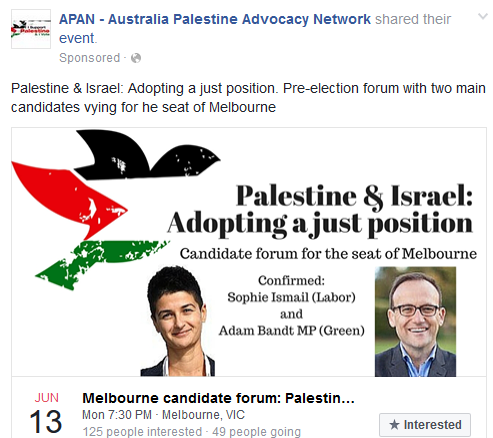 Here's a video showing how dangerous Adam Bandt and the Greens are: frankly, any supporter of Israel who votes for the Greens in the forthcoming election needs his or her head examined. 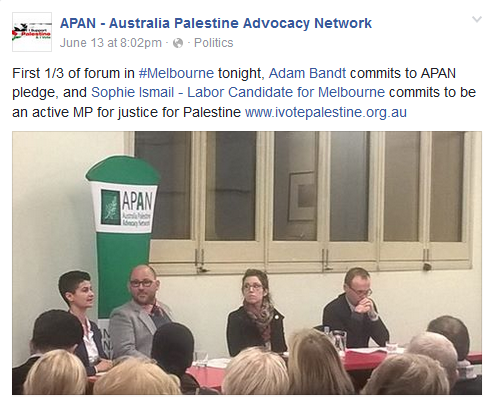 APAN hosted Australian Greens MP Adam Bandt and Labor Member for Melbourne Sophie Ismail on 13/6/16 for a 1.5 hour discussion on "Palestine & Israel: Adopting a Just Position". I selected what I believe are the most consequential quotes from Adam. Please be aware that I have cut and pasted these from this discussion and if that has caused them to be misconstrued it is not my intention, in fact I went to great lengths to ensure the quotes were left as they were said as much as possible for a short video. 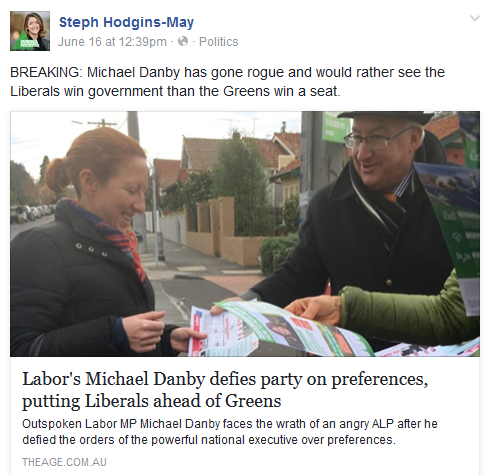 As the 2016 Federal Election is coming up, I believe that this topic is of great interest to many Australians and they may benefit from understanding more about the stances of our politicians before voting. I have also annotated this video in parts where I have found information that contradicts their statements as well as where it supports them. I have tried to use sources that are objective as possible knowing full well this is a very contentious topic. Following are the links to the sources referenced in this video. 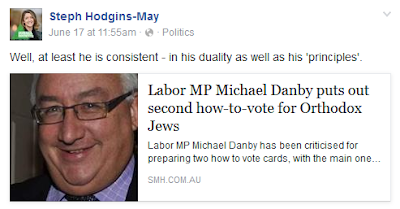 What does Ms Hodgins-May mean by "duality"? The shocking and horrendous murder of British Labour MP Jo Cox in her Yorkshire constituency is of course a tragedy and an outrage that has caused widespread revulsion and an outpouring of grief both from those who knew the 41-year-old personally and those who did not. It goes without saying that all decent people, irrespective of creed and political complexion, deplore the evil that took her life, and sympathise with her friends and family, not least her two small children. 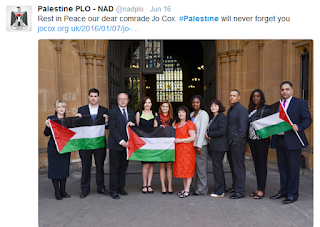 Jeremy Newmark, chair of the Jewish Labour Movement, knew both Mrs Cox and her husband Brendan socially. 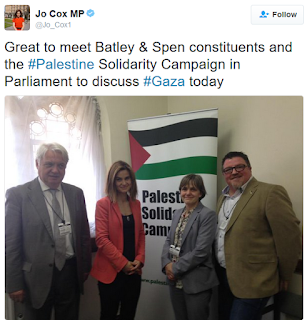 He said he had come across Mr Cox, who worked in international aid and development, on projects looking to bridge relations between Jewish community institutions and NGOs like umbrella group Crisis Action. UK Chief Rabbi Ephraim Mirvis paid tribute to Mrs Cox. He said: "We're united in grief today at the terrible loss of Jo Cox. Brutally murdered as she served constituents. May her memory be for a blessing." 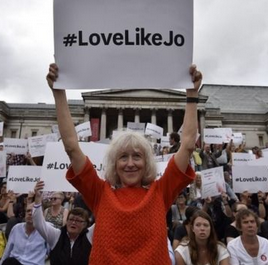 In a vigil after her death, Labour leader Jeremy Corbyn paid tribute to her work as a parliamentarian and human rights activist. "This is absolutely tragic and dreadful news. My thoughts are with Jo's husband Brendan, their two children and their wider family. We've lost a great star, she was a great campaigning MP with huge compassion and a big heart." 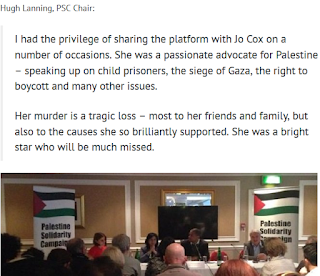 Ms Cox has been recalled as a great humanitarian whose memory can best be served by embracing the causes that mattered to her and emulating her in her compassion. Yet it has to be asked: "How compassionate was she towards Israel in its struggle against Palestinian Arab rejectionism and terror?" "In the course of her career, she called for a resolution to the Israeli-Palestinian conflict and submitted a piece on the issue for Labour Friends of Palestine and the Middle East. Ms Cox was sometimes spoken of as a potential Foreign Secretary. We will of course never know, now, what that would have meant for Israel had she attained that position. 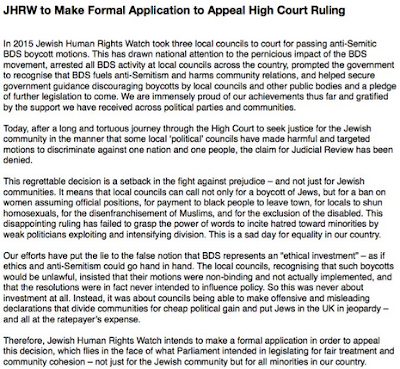 But this and the tweets I have included on this blog suggest that friends of Israel may well have felt dismayed. President Obama’s continuing refusal to co-sponsor a Security Council Resolution with Russia authorising the use of military force against Islamic State ensures that the horrendous murders in Orlando and Manganville this past week will be repeated with ever increasing frequency anywhere and at any time. “As we know all too well, terrorist groups like ISIL have called on people around the world and here in the United States to attack innocent civilians. Their propaganda, their videos, their postings are pervasive and more easily accessible than we want. Despite a raft of resolutions passed by the Security Council under Article 41 of the UN Charter requiring member States to take a melange of actions against Islamic State – a resolution calling for the use of military action by the United Nations under Article 42 of the UN Charter remains stymied because of America’s opposition to taking such action proposed by Russia. Independent and uncoordinated military actions to wipe out Islamic State taken by Russian-led and American-led coalitions have only had limited success. A minority of UN member States are shouldering the burden of inflicting total defeat – whilst the rest just make pious condemnatory declarations and avert their gaze. Islamic State’s radicalising of Muslim minds everywhere is endemic and growing and represents a world-wide problem demanding a world-wide response. How many more San Bernardino and Orlando massacres will President Obama mourn and decry before he agrees to co-sponsor a Security Council resolution with Russia authorising military action against Islamic State? BDS Norfolk is a genteel and bourgeois-looking collection of dedicated Israel-bashers in and around the English cathedral (and now university) city of Norwich (yes, where the first European blood libel of the Middle Ages occurred). 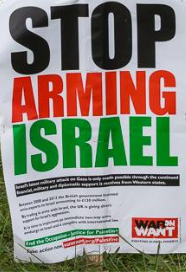 Although many look ready for the pipe and rocking chair, the BDSers there are a dedicated lot, it appears, holding various demos calling for the boycott of Israeli products and an end to arming Israel, with a few stunts along the way. They have even photographed and plugged the rows of old and oldish books in the cathedral library with "Palestine" in their titles, as if that somehow proves that there was an independent nation so-named until da Joos stole it. 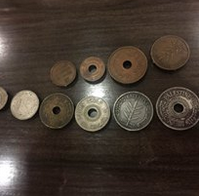 And just look (above) how they've made these coins spin! It's so naive and laughable it's almost charming! Anyway, here's World Jewish Congress (WJC) president Ronald S. Lauder addressing the plenary session of "Building Bridges, Not Boycotts," the international summit on the delegitimisation of Israel at the United Nations Headquarters in New York, and affirming his organisation's commitment to the fightback against BDS. Addressing more than 1,500 students, dignitaries, public officials and representatives of Jewish organisations at the conference convened by, inter alia, the WJC and Israel’s Mission to the United Nations, Lauder pledged that the WJC “will commit all of our resources, and all of our abilities, to help fight BDS." "[T]he day of the quiet Jew ... of the ghetto Jew are long over," he warned. “Over the last 20 years, and for the first time since the Holocaust, antisemitism is acceptable again. Unlike the antisemitism of the past, today it comes not just from the Far-Right, but increasingly it comes from the Far-Left. 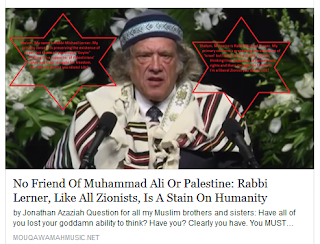 And the new target for this age-old hatred is not the ‘International Jew,’ as Henry Ford called us. 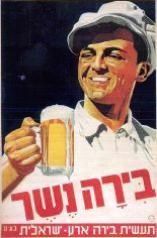 Today, it is the Jewish state of Israel, which is constantly vilified throughout the media, on the internet, at the United Nations, and on almost every college campus. Let’s make one thing crystal-clear right now. 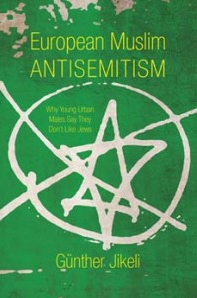 When someone says they are not anti-Jewish, they are only anti-Israel, that is a lie. 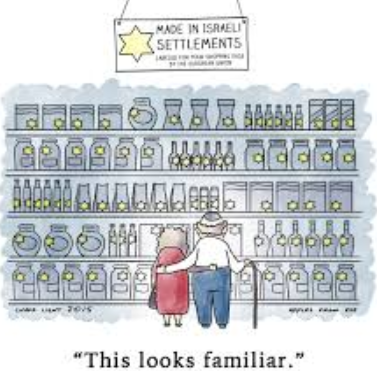 When you hold the only Jewish nation to a different standard than any other country, when you make up lies about the only Jewish nation, its past and its present, and when you want the only Jewish nation on earth to disappear, that makes you an antisemite. Pure and simple...."
As Donald Trump observed today, Barack Obama seems more outraged over Trump's reaction to the Orlando massacre than over the perpetrator of it. We're used to leftist-edited footage that portrays the idiosyncratically quoiffured would-be president as a dangerous whacko buffoon. But in this interview with Fox News's Sean Hannity, which includes denunciation of the Iran Deal and Obama's treatment of Israel, Mr Trump appears positively statesmanlike. "This could be the all time Great Trojan Horse," he says of his rival's proposed immigration policy.... I'm much better for women than Hillary Clinton is ...."
Wakey, Wakey to the Islamic Constitutions, Mr Wakeling! 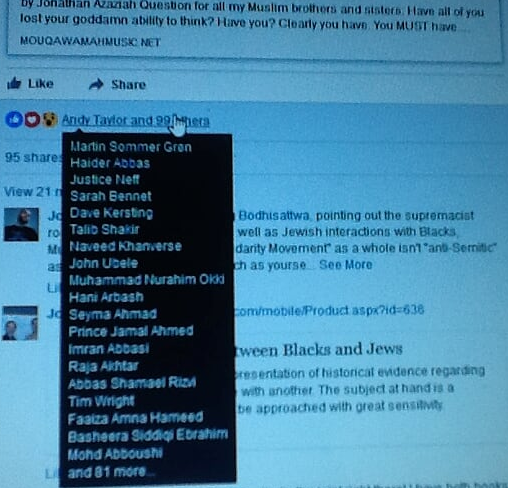 I've just spotted this post (at left) by a friend on Facebook of a contemptible as-a-Jew Israel demoniser in the UK. And what a silly (to put it no more strongly) premise it's built upon. Assuredly, the misconception that Mr Wakeling displays here is certainly not confined to him. If it was, there would be no need to draw attention to the post. It really should be pointed out, every time somebody makes the kind of assertion that he has here, that there are numerous countries in this world that avow and privilege Islam.
' [T]here is just one Jewish State on planet Earth and a very significant number of Arab ones, indeed a large number of states that are constitutionally, to a greater or lesser degree, self-defined as Islamic states in which, to some extent at least, disabling legislation against non-Muslims and the operation of sharia law applies. “an indivisible, democratic, and social Islamic republic … Islam shall be the religion of the people and of the state … the President of the Republic shall be a Muslim”. Or Pakistan, proclaimed as an “Islamic Republic” in 1956, which oversaw a radical islamification of its Constitution in 1985, and the following year foreshadowed the persecution of Christians with the making of blasphemy against Islam a capital offence, and where since 1993 basic constitutional rights are based upon the Quran and Sunna. 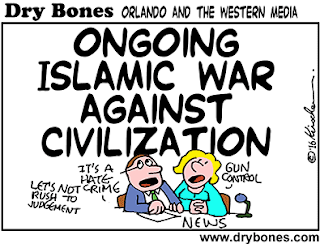 Or Egypt (“the Egyptian people form part of both the Arab and Islamic community … Islam is the state religion .... The principles of Islamic law form the main source of legislation’), Iran, and Malaysia, where conversion to a religion other than Islam is regarded as apostasy and in Iran liable to capital punishment. You' might think, as I did, that Lerner's remarks would find favour with Israel-haters everywhere. You might. But you'd be wrong. 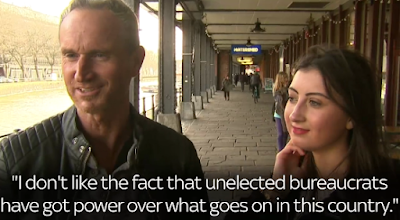 Just look at the reaction his remarks have drawn from (wait for it!) Jonathan Azaziah, author of the following vile article, and certain of Azaziah's Muslim (and non-Muslim) friends (including an obsessive Israel-demoniser called Andy Taylor) on Facebook. Visceral antisemitism, so starkly expressed, so clearly seen. Across the Pond, from our old friend Alex Seymour, Israelophobe extraordinaire, footage of members of Richmond and Kingston PSC (what a well-heeled bourgeois bunch they seem, befitting their leafy habitat) at a fair at Ham Common in Surrey on the Saturday of this Queen's Birthday weekend, displaying among their goodies those mendacious maps. 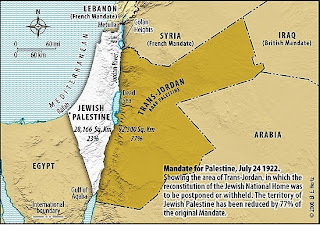 The conflict actually requiring resolution is the Jewish-Arab conflict going back to 1917 – well before Israel’s creation in 1948 – which still sees 20 Arab States today denying the Jews the legal rights vested in them by the Mandate for Palestine to reconstitute the Jewish National Home in its ancient biblical and historical homeland. The “Palestinians” were regarded as part of the “existing non-Jewish communities in Palestine” by the League of Nations in 1922 and not recognized as a people by the United Nations in the 1947 Partition Plan. 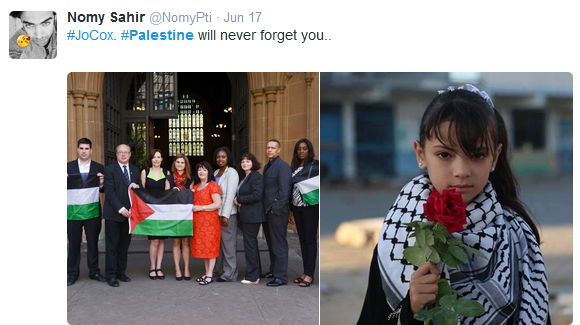 The 1964 PLO Covenant is their birth certificate. PLO Chairman Mahmoud Abbas’s claim on 6 June that the “Palestinians” had a 5000 years old history is farcical. 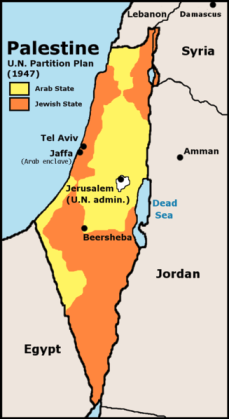 That “two-state solution” – first proposed in 1947 – was available at any time between 1948 and 1967, was again offered in 2000/1 and 2008 but was always rejected by the Arabs. 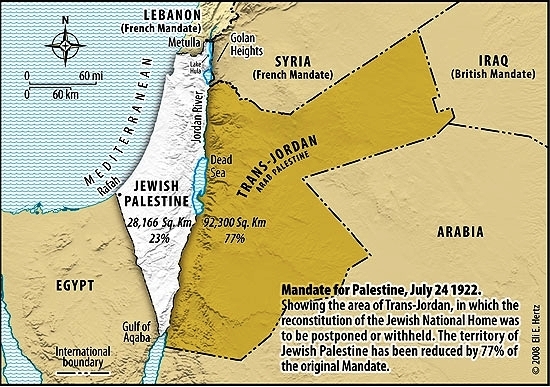 The “two-state solution” envisioned by the League of Nations in 1922 and the Peel Commission in 1937 provides the best opportunity for peacefully resolving Jewish and Arab territorial claims in Judea and Samaria (West Bank) and Gaza. Guess the delegates were too busy quaffing champagne and tasting canapes to focus on other solutions than the artificially contrived, totally failed and utterly discredited 1947-2016 “two-state” solution. Council resolutions and highlighting the importance of the implementation of the Arab Peace Initiative. “Fully ending” the 1967 occupation means kicking 65,0000 Jews out of their homes. What were they thinking – and drinking? Israel agreed to negotiate with the PLO under the 2003 Bush Roadmap only on the basis of Security Council Resolutions 242 and 338. Introducing new negotiating parameters now is incredibly fanciful. 4. Possible ways in which the international community could help advance the prospects for peace, including by providing meaningful incentives to the parties to make peace. Direct negotiations between Israel, Jordan and Egypt would fit these objectives. 5. The participants highlighted the key role of the Quartet. Jews became persona non grata overnight as the Quartet’s previously independent non- partisan role was superseded. France’s follow-up international conference being organised before the end of the year promises further farce and continuing folly. How's this for a double dose of hypocrisy? A fortnight ago, the Australian Jewish News carried an article by Greens' candidate Steph Hodgins-May, who in the imminent federal General Election (2 July) is contesting the Victorian seat of Melbourne Ports currently held by staunchly pro-Israel Labor MP Michael Danby. 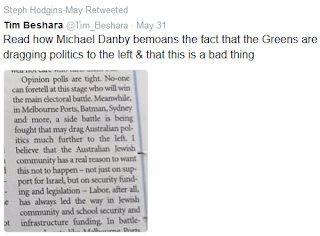 In that article the youthful Ms Hodgins-May criticised Mr Danby for raising concerns regarding Israel's security and about the Green Party's despicable attitude towards Israel, and wrote that it would be more appropriate for candidates to raise bread-and-butter concerns facing voters in the constituency, as she intends to do. 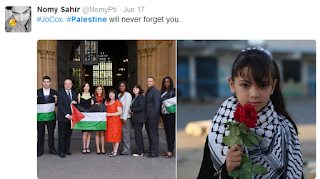 That was, of course, most ironic and hypocritical, in view of the fact that the Green Party, home to such notorious Israel-denigrators as Senator Lee Rhiannon, is itself obsessed with the issue of "Israel/Palestine" virtually to the exclusion of any other international issue. It is even more ironic and hypocritical now. According to the 2011 federal Census (another Census is due this year) there are 19,563 Jewish residents in Melbourne Ports. A debate between the three principal candidates for the constituency (Mr Danby, the Liberal Party's Owen Guest, and Ms Hodgins-May) was scheduled for 22 June, co-hosted by the AJN and Zionism Victoria at the Beth Weizmann Community Centre. Chaired by AJN editor Zeddy Lawrence, it was arranged to enable Jewish voters to ascertain those three candidates' attitudes regarding a variety of issues, Israel, Iran, the terror threat, and peace in the Middle East among them. But suddenly Ms Hodgins-May has announced she won't be attending. As the AJN, in breaking news, now reports, it was in the middle of last month that she agreed to attend the debate. 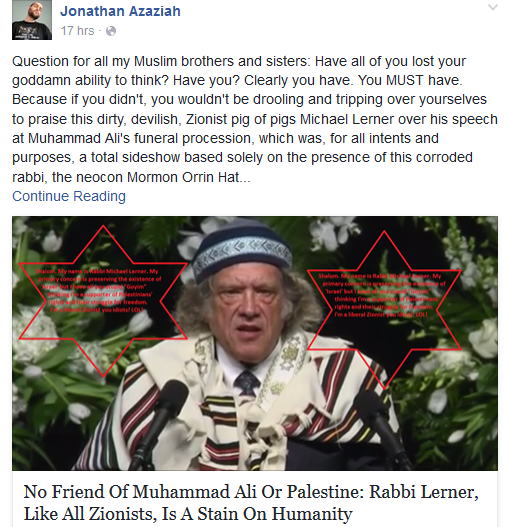 'On May 30 AJN editor Zeddy Lawrence told Hodgins-May during an email exchange that it would be co-hosted by Zionism Victoria. 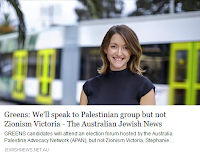 However, this Tuesday when questioned about her appearance via Twitter she told a journalist that it was his tweet that alerted her to Zionism Victoria’s involvement. That prompted her withdrawal from the debate. 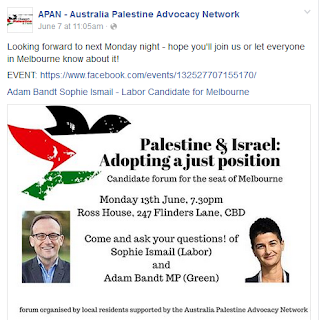 APAN also supports the Boycott, Divestment and Sanctions (BDS) campaign against Israel. After being informed that Bandt would be attending a function hosted by APAN Hodgins-May claimed she would not attend the forum because she didn’t like Zionism Victoria’s stance when it comes to the United Nations. “I was unaware when I accepted that it was also being co-hosted by an organisation that holds strong political views, including in relation to the United Nations,” she said. Time to play that song again, perhaps? In Cardiff, the Welsh capital, a gaggle of mainly middle-aged and rather elderly women, accompanied by a few men and surrounded by Palestine Solidarity Campaign banners, join with gusto in singing the Arabic song Mawtini (dating to the time of the 1936 Arab Riots in Mandate Palestine and since adopted by the PA and Iraq as their anthems). 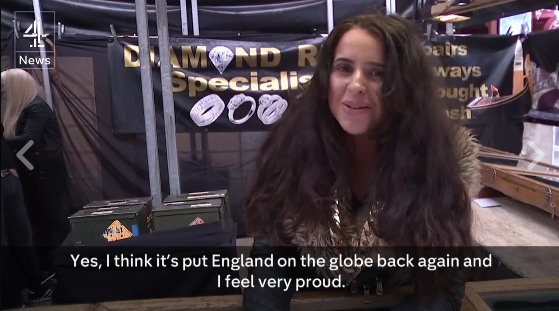 Watch the fervour with which some of these women trill out the lyrics (it's almost like some religious revival meeting in John and Charles Wesley's day). The choir mistress, swathed in a large keffiyeh, has a spring in her step that belies her years. 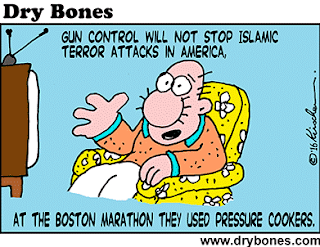 What, I wonder, is it about the anti-Israel cause that makes their juices flow so? After all, many of them are old enough to remember when Arab armies almost wiped the tiny Jewish State off the map, as well as Palestinian Arab atrocities against Israel such as the Ma'alot massacre. However, not so fervent, it appears, are passers-by, to judge by the forlorn look of that red bucket strategically placed to receive donations.